Engage and retain the enthusiasm of mini fencers, by training them on practice equipment that really works. Reward them for every valid hit, with coloured lights. Allow young fencers to learn and appreciate the timing of first-to-hit and double hits, before moving on to full-size scoring machines. Learning and skills development arise from a combination of coaching and experience. 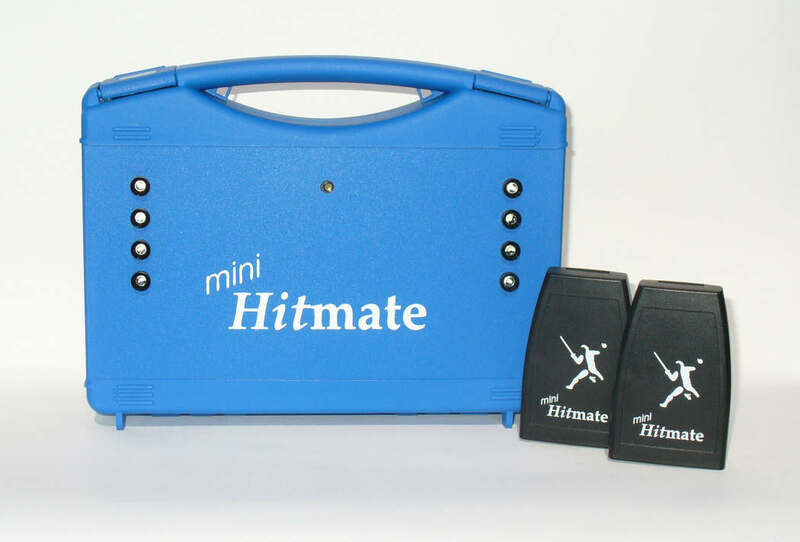 Mini Hitmate makes two essential contributions to the learning process: by implementing the correct timing rules, and by providing mini fencers with a real fencing environment. Youngsters who have used Mini Hitmate in structured training have loved it! They don't want to put it down. Because score hits are rewarded by a response from the Receiver at the side of the piste, the developing fencer wants to continue learning. 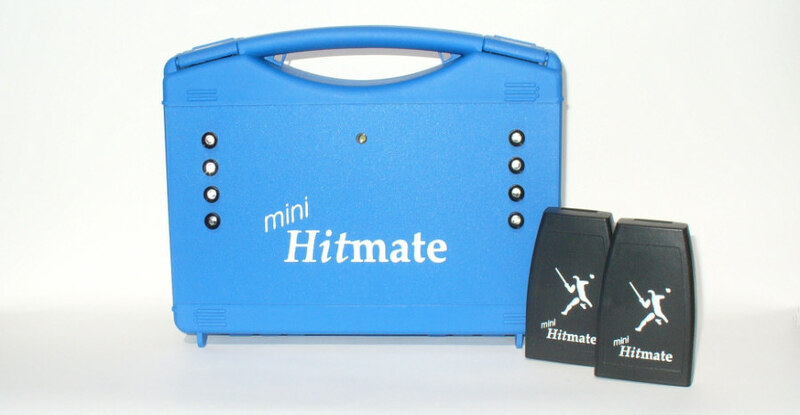 Mini Hitmate is a complete wireless scoring system for two fencers, intended for use with plastic training swords. The two wireless transmitter units are stored inside the receiver case when not in use. It's compact, lightweight and portable. Size: 24 x 18 x 5cm, weight 580 grams. Many sets can be used at the same time in one training location. There is no interference of radio signals between units. Foil or Epee timing is selected by a switch in the receiver. 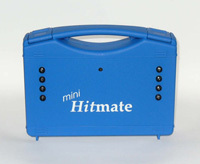 The Mini Hitmate scoring set is available from Hitmate Limited, direct. Mini Hitmate is intended for use with lightweight plastic training swords, with electrical connections. A range of suitable swords, connecting cords and masks can be supplied by Plastic Sword Fencing. 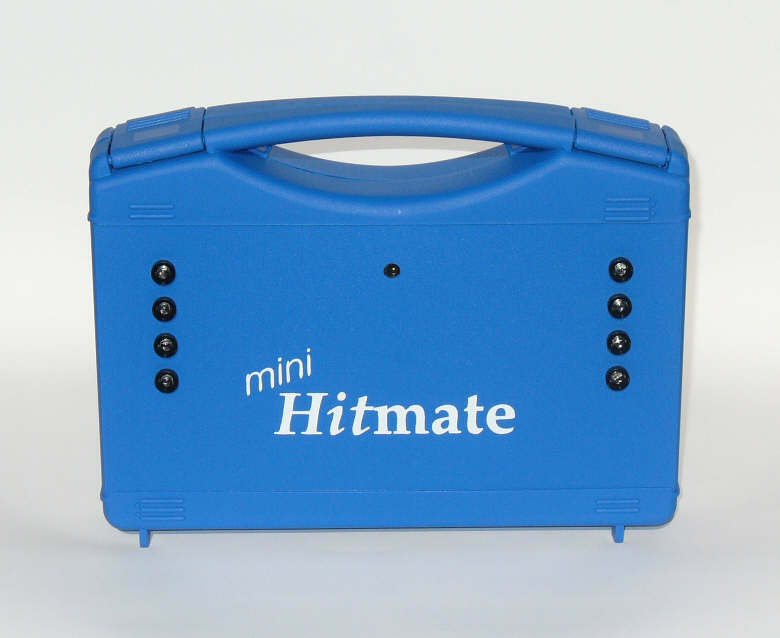 You can also buy Mini Hitmate from the same specialist supplier. Mini Hitmate and the accessories provide a suitable package for introducing youngsters to fencing and giving them a powerful start. Mini Hitmate: Available NOW ! Price includes VAT at 20% for customers in the UK or EU. Price includes export packing and insurance for destinations outside the EU. Shipping is free worldwide.